Professional House Cleaning Tips: DIY noise isolation - is it efficient? DIY noise isolation - is it efficient? The heavy weaponry. This usually means you are into big renovation and you want to avoid additional costs for improvements later. You have these options: hat channels and hard insulation; blanket insulation or adding independent wall to the metal walls. So far this is the most efficient and costly solution, also it cannot be done independently, it will require more work before you can live at your home again. If you need a great soundproofing look for fiberglass solutions - 3-1/2" batt fiberglass has noise reduction coefficient (NRC) – 0.90-0.95. No cracking floors. If you live in an apartment building, noise can come from everywhere even through floor (also if you live in a house with noise appliances in the basement). This is one idea easier to mend than the wall soundproofing. Choose the right flooring – avoid tiles, stone, marble and other similar materials. Wood and especially cork have great qualities when it comes to noise reduction. Only for your information cork has NRC depending on thickness from 0.10 to 0.80. It’s durable, cheap, eco-friendly and good-looking, but don’t rely on steam carpet cleaners for it, because you can cause inevitable damages. Use the interior. Fabrics and wood furniture absorb sound, you can use them as additional or basic sound reducer depending on your opportunities (being a tenant means no heavy renovations).One more thing: natural materials like wool, cotton, etc. absorb more sound than the artificial ones if the second are not made with soundproofing technology. 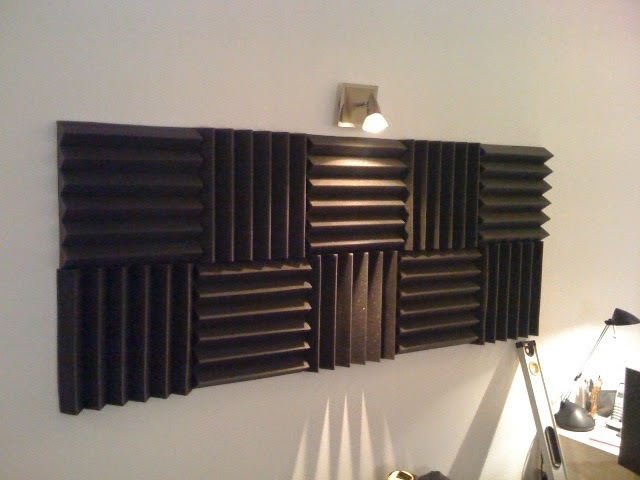 Noise reducing panels. They are applied over the existing walls and their covering. With them the noise reducing depends on the proper installation and the filling of spaces around sockets, windows and other openings. It’s a plus that they are easy for maintaining. Just vacuum them with the lowest power of the hoover, while you are accomplishing your home cleaning.